Favorite Activity - Trig Walk. Not another person in sight. Al Macdonald has a talent few tour guides possess. He can make a complex tour simple and comfortable, and also add a touch of adventure and intrigue into the simplest of destinations. He is flexible, knowledgeable and able to match the perfect style of travel and accommodations to his client. Why? Because he listens. He doesn’t simply do what he’s done before and mold you into his plan. He listens to what you want and fits your tour around your dreams, wish list, bucket list, budget and energy level. He’s efficient, and he genuinely tries to make sure you get full value for your money and full inspiration for your soul. He’s a winner. I would not hesitate to use him on any style of vacation in any part of the world. My friend recommended Al Macdonald to help me plan a New Zealand trip so I called him. He was absolutely wonderful to work with while planning the trip. He listened to my ideas and suggestions and put together a trip of a lifetime for my friends and myself. He was our guide during the actual trip and was so easy and fun to be with. We already have plans to work with him again! 5 Star Rating! Our family has done 2 self-guided trips custom-planned by Al at Thrive Adventures and both were amazing! Al planned and booked our trip to Australia including SCUBA diving on the Great Barrier Reef and many other fabulous adventures. 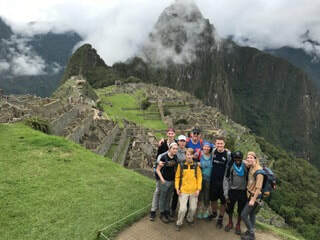 He also put together a incredible trip to Peru for us where we hiked the Inca Trail to Machu Picchu. Al has always been a great listener and is careful to make each trip perfect for our needs. He has awesome suggestions and is also very willing to work to accommodate our individual requests...when my daughter's bucket list included staying in a tree house hotel in Australia, Al found one for us!!! His contacts 'in country' have always been of the highest quality and taken great care of us- and his service fees for the fully booked but self-guided trips are so reasonable! We would highly recommend Al to anyone looking for a personal, professional and inspiring travel guide! 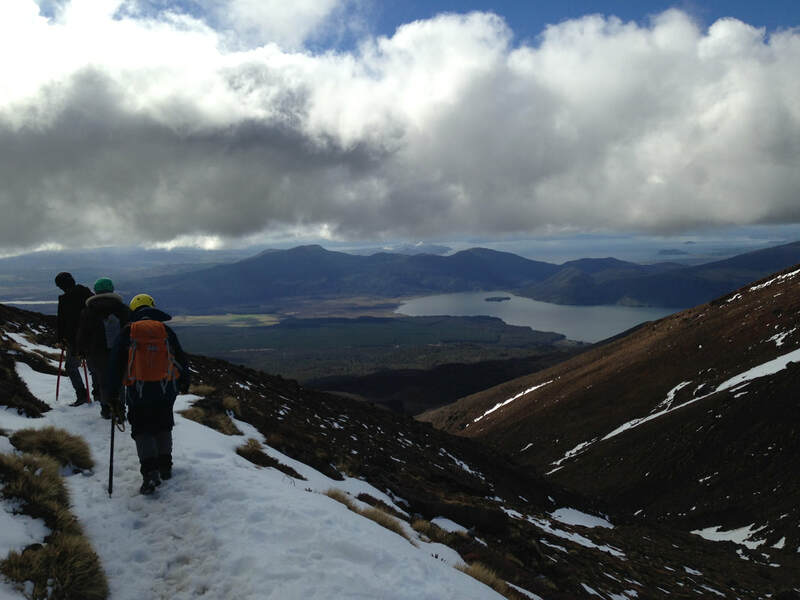 I worked with Thrive Adventures to plan an eleven day trip to New Zealand. 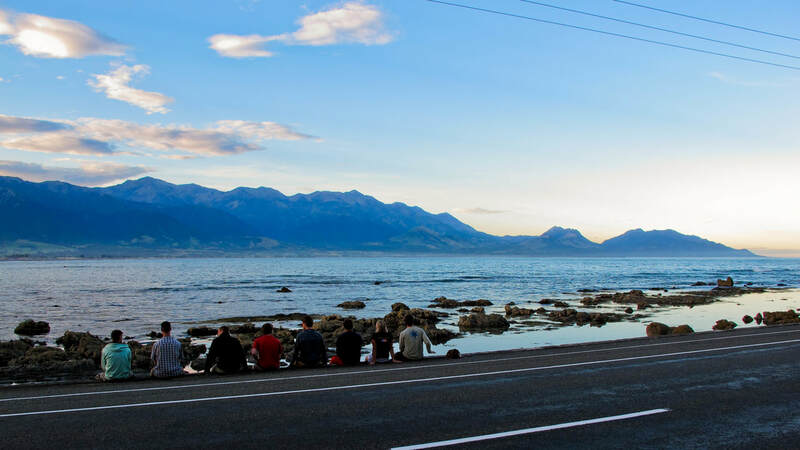 I worked closely with Al to build a personalized itinerary that included accommodations, transportation and recommendations for activities to do while in NZ. Al knows New Zealand so well that after listening to what I originally had in mind for a trip he was able to suggest specific places to visit and things to do while I was traveling. Thrive booked my accommodations through YHA New Zealand, as well as a Milford Sound Fly/Cruise/Fly tour with Air Milford and a Tongariro Alpine Crossing guided tour. Al contacted each company to get me discounted prices for each of these activities. I rented a car while visiting the North Island which Al also worked out for me. He provided a map of the locations I'd me going to and drive times and miles for me to plan ahead. He made every part of the planning process easy and transparent with open and frequent communication via email and phone conversations. I enjoyed every part of my trip to New Zealand and I know that Thrive Adventures had everything to do with that. I'd never been to the country before and their knowledge and prior experience helped me to create the perfect trip for me. I plan on revisiting New Zealand soon and will be contacting Thrive to help me plan another great adventure. On the last flight before the U.S. we were all tired. We’d had quite an adventure. We’d gone from sea level to fourteen thousand feet. Experienced snow, rivers, mosquitoes and ancient ruins. Some of us had gone zip-lining from the height of the empire state building, others had ridden horses along cliffs in the Andean Jungle. I looked across the aisle at Al Macdonald as the flight attendants played the usual safety video. Al’s a very social guy. Fun with a mischievous sense of humor and a ready smile. This time he didn’t look back. It struck me, he was paying close attention to the safety video. Even though he’d been on planes probably hundreds of times and seen variations on the theme at least as often, he was paying attention, just in case something was different this time. That sums up Al and how Thrive Adventures, the company Al founded, tries to operate. He pays close attention to the people who go on his trips. He takes care of them and works to make sure they have the best time possible. I’d signed up for Thrive’s first Peru trip. Al billed it as a ‘trial run’ with “rough edges”. I didn’t know anyone else who was going and had only spoken with Al and his partners, which included his wife Jen, and Co Founder, Sam Kurachek, for a total of fifteen minutes. They chose good people, and a good group size. Every day I had the opportunity to choose an activity or ‘mini trip’ they’d scoped out, or I could wander on my own for ½ a day. I was in the process of rehabbing my knee after an injury. 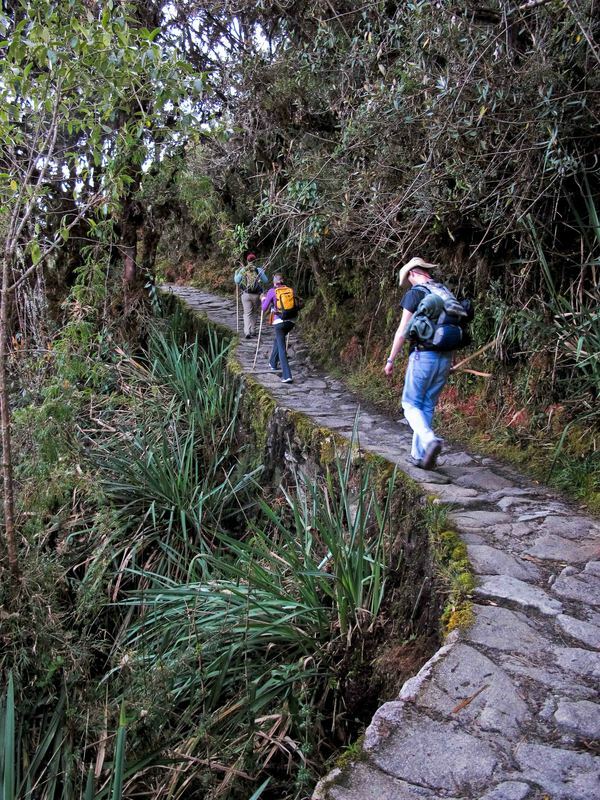 One of the big ticket items on the trip was a hike to Machu Picchu. Al made sure someone on the hike would be able to help if I ran into issues. I did, and they did! Every step of the way Thrive helped me have the best trip possible. All of the optional activities and flexible scheduling helped me make it ‘my trip’ instead of a canned set of hoops to jump through. If you’re someone with an adventurous spirit but want someone else to sweat the details, Thrive has what you need. 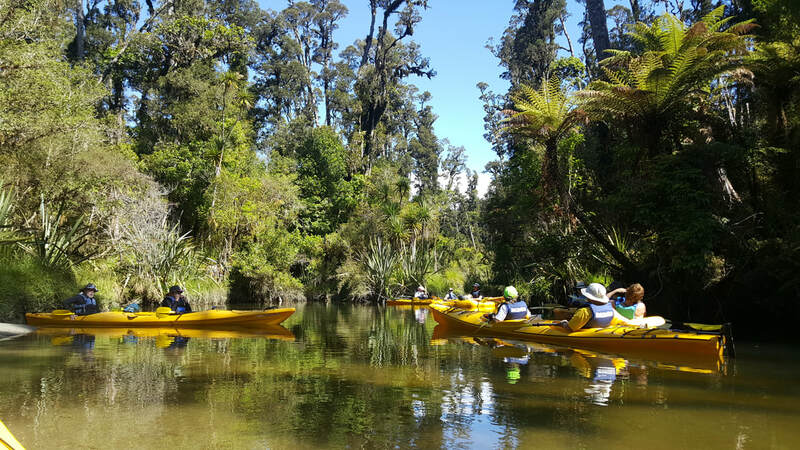 ​My Thrive Adventures Trip to New Zealand described in one word: Amazing! In all sincerity, to try and put the amazing experience that I had in New Zealand into words is impossible; not because there isn’t more than enough material, there just isn’t an adequate way to describe a life changing experience in words, you just had to be there. I’ve always wanted to get out of the US and see the kinds of sights and experiences that seem to be only possible through the travel channel. The pristine beaches with impossibly blue waters, hiking through trails with breathtaking views, the glimpses into local cultures that have a deep and rich history, kayaking into what can only be described as paradise, swimming with the Dusky dolphins at sunrise, jumping out of plane at 16,500 ft., bungee jumping in the middle of a rocky chasm, surfing (at least trying to), meeting local people as well as people from all over the world, taking a glacier cruise, and most of all seeing in person one of the most beautiful places on Earth. This seems like a tall order, more like 5 vacations rolled into one, but in 15 days I was at the mercy of Al, Jen, and Sam with Thrive Adventures and I had every one of these amazing experiences and more. 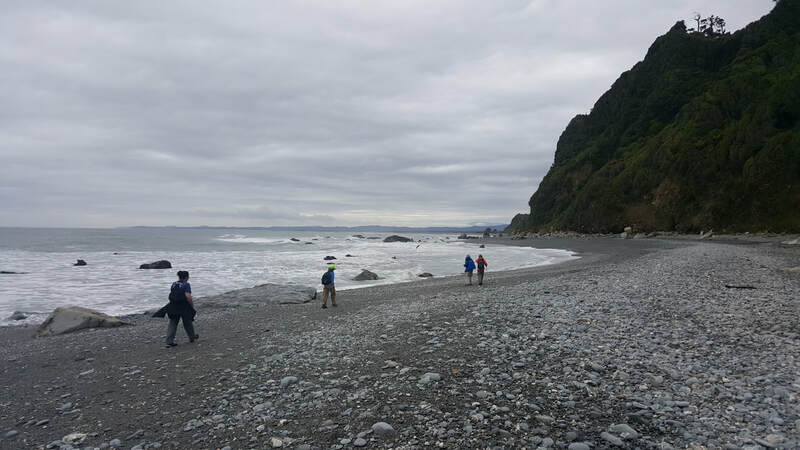 From the time I got to the airport everything was arranged taken care of, and every step of the way I had experienced guides who wanted nothing more than for me to have a once and a lifetime trip in New Zealand. I told Al from the beginning what I had in my “Do Somethin’ Crazy” bucket list and I was only hopeful that I could accomplish “some” of it in two weeks. My (what seemed like a lofty) list was in trouble by the end of the first week and was reduced to shreds by the second, there really isn’t a moment wasted, if you are looking for the trip of a lifetime you will not be disappointed. ​Like I said before, words just can’t do my experience justice and that’s really what the point is at Thrive.This isn’t talking about doing, this IS doing. This is trying to think of all the things you’ve wanted to do, being able step into a place that has all the resources, and having the professional guides there to point you in the right direction, all you have to do is jump…literally. 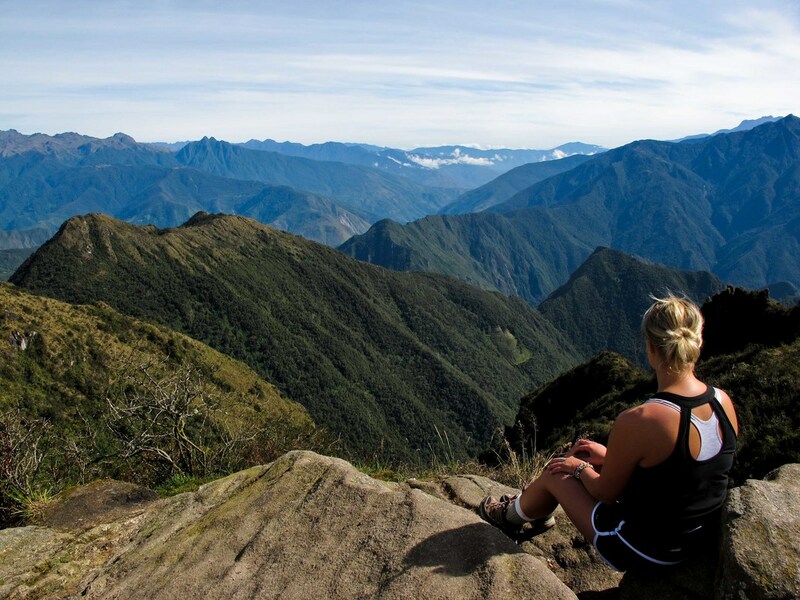 Peru was such an amazing place and time for me. The guides were awesome! 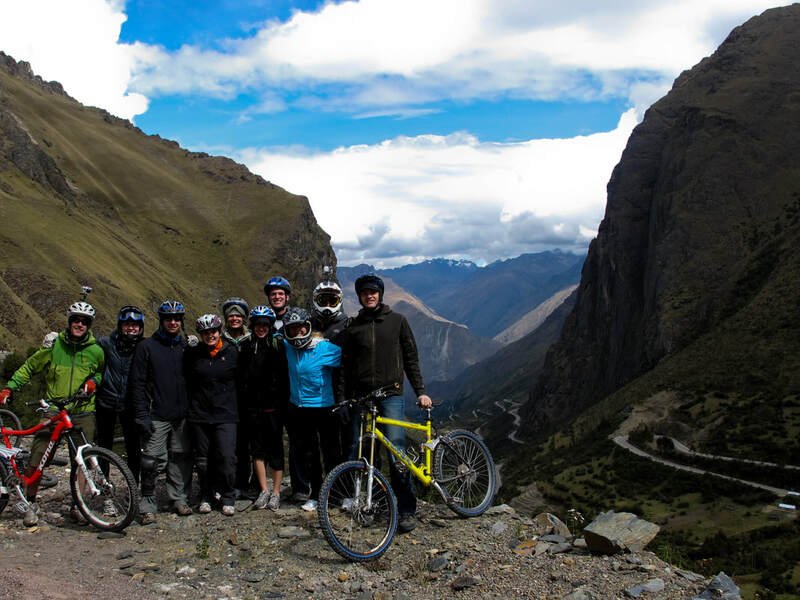 From communicating, biking, and rafting, to the Inca Trail hike –The guides were always funny, very knowledgable about the area, history and culture, and all the while it was clear that our well-being and safety remained their chief concern. You guys rock! I thought that everywhere we stayed was great, especially KB Tambo Hostal! The rooms were clean, there was hot water, and the rooftop veranda overlooking the city was a great place to relax and chill out. Plus the fresh fruit and breakfast every morning was a treat to accompany a great location in beautiful Ollantay. The food was AMAZING! I tell everyone I know about Thrive Adventures! I would describe all my Thrive trips as once in a lifetime trips that you don’t want to be just once in a lifetime because you want to keep seeing more and more and would do it again in a heartbeat! I keep telling everyone they need to go! ha! I will definitely be keeping my eye open for the Costa Rica trip! Thank you guys for the awesome trip!!!! And thank you for being such great guides. Your energetic and positive attitudes always help make it a great trip and experience! Going to New Zealand through Thrive is one of the best decisions I've ever made. I have always great things about New Zealand but I never thought I would be able to do so much in such a short amount of time. You guys did a great job of making sure everyone in the group got to do everything they wanted, and even though we packed so much stuff into just two weeks you were able to maintain the laid back feeling that you are supposed to have on vacation. Thanks again for the great trip and I can't wait to head out with you guys on another trip in the future. I have now taken two trips to New Zealand guided by Al Macdonald. Both experiences have been highlights of my life. Seeing the countryside on the way to each destination is awe-inspiring enough, and the destinations themselves will blow you away. Each one is unique and something you won't be able to do on a typical vacation destination close to the U.S. Also, if you are thinking of going by yourself without a guide I would strongly urge you to reconsider. Aside from the fact that both Al and Sam are wonderfully enthusiastic, and will enhance your trip just by being themselves, I do not think I could have made all the destinations that I paid for in the allotted time never having been there. It is a jam packed trip! Even if I WERE savvy enough to make the entire trip, all the driving would have exhausted me and I don't think it would have felt like I was on vacation. To pay for the plane ticket alone and not see enough of the major highlights of the country would definitely not have been worth it for me. Al's fee is modest, so take it and don't look back! I guarantee once you take the trip, you will not regret for a second having a guide who knows the country! Thrive on the trip, and in life!